When Noreen takes a buyout and gets dumped by a boyfriend in one fell swoop, she finds herself with nothing but time to notice everything that's missing in her life. Tess is the teacher next door, who thought she'd be spending the summer with her college-bound daughter, but now that daughter isn't speaking to her. 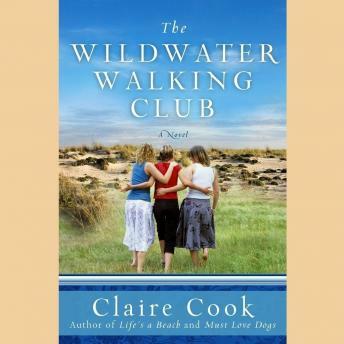 The Wildwater Walking Club is complete when they meet Rosie, the dutiful daughter who moved onto her parents' lavender farm after her mother died-and dragged her family with her. As the Wildwater women walk and talk, and talk and walk, they tally their steps, share their secrets, and let life take them in some new and surprising directions. Throw in a road trip to Seattle for a lavender festival, a career coaching group filled with unemployed Boomers, a clothesline controversy that could only happen in the "burbs," plenty of romantic twists and turns, and a quirky multigenerational cast of supporting characters, and the result is pure Claire Cook-fun, fast, and totally fabulous.